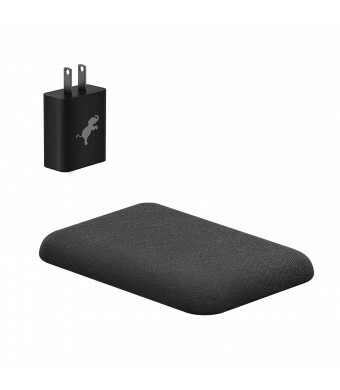 OPTIMIZED FAST CHARGING: Wirelessly charge the Apple iPhone at 7.5W and Samsung devices with up to 10W. Safe and efficient wireless fast-charging speeds up to 2X faster than standard phone chargers. CHARGE TWO DEVICES: Charge a phone wirelessly and connect a second device, to the additional USB-A port to power both devices simultaneously. 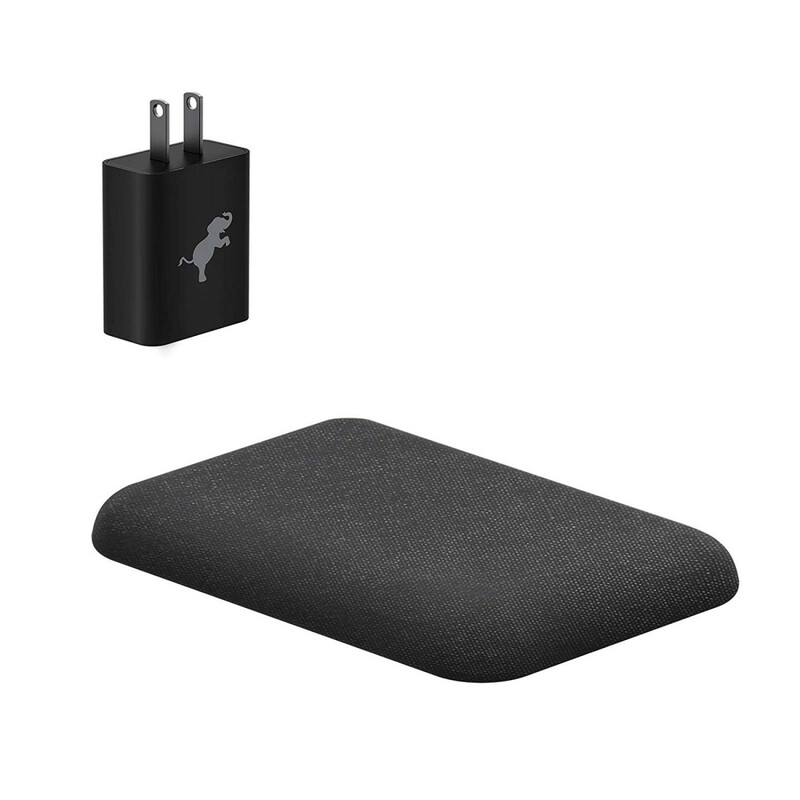 Wireless charger works with most slim, protective cases. HIGH-SPEED USB-C: Cable & input port with fail-safe circuitry. No risk of overcharging or overheating. LED indicator illuminates while charging & flashes if misaligned or a foreign object is detected. THOUGHTFUL MATERIALS: Nimble builds better products using plant-based, sustainable plastics and durable fabric blends made from recycled plastic bottles and 100% organic hemp. CABLE AND CHARGER INCLUDED: High-speed USB-C cable and QC 3.0 USB Wall charger provide ideal charging speeds and give you everything you need to start charging right out of the box. We believe people deserve to know how their products are made, where they come from, and the impact they have on the world. Designed for good in California.